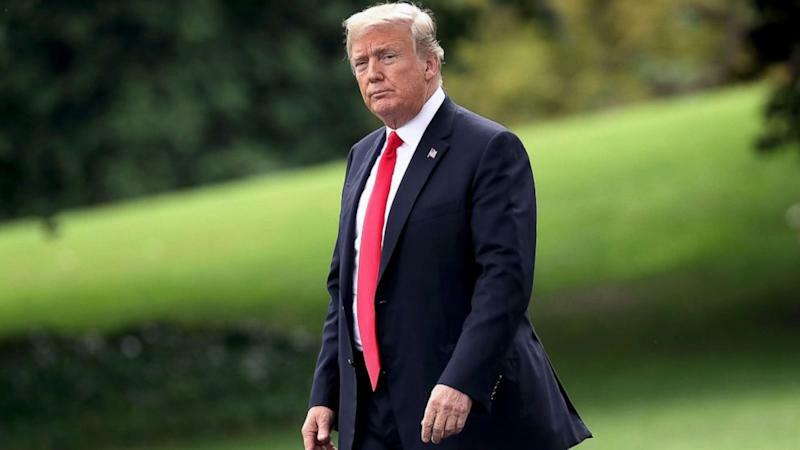 President Donald Trump tweeted his latest critique of special counsel Robert Mueller, calling the former FBI director who is overseeing the Russia investigation "disgraced and discredited." Trump also in a series of tweets Monday morning added to the rising count of times he's called the probe of alleged Russian interference in the 2016 election a "witch hunt." "Disgraced and discredited Bob Mueller and his whole group of Angry Democrat Thugs spent over 30 hours with the White House Councel, only with my approval, for purposes of transparency," Trump tweeted. "Anybody needing that much time when they know there is no Russian Collusion is just someone looking for trouble," he wrote. "They are enjoying ruining people’s lives and REFUSE to look at the real corruption on the Democrat side - the lies, the firings, the deleted Emails and soooo much more! Mueller’s Angry Dems are looking to impact the election. They are a National Disgrace!" "Where’s the Collusion?" the president said in another tweet. "They made up a phony crime called Collusion, and when there was no Collusion they say there was Obstruction (of a phony crime that never existed). If you FIGHT BACK or say anything bad about the Rigged Witch Hunt, they scream Obstruction!" Over the weekend, the president posted a series of tweets in response to a report that his White House counsel, Don McGahn, has been cooperating extensively with the special counsel's investigation of alleged Russian meddling in the 2016 presidential election and possible links to Trump associates. “I have nothing to hide,” the president said in his tweet Sunday morning. Sources with knowledge of McGahn’s contacts with Mueller’s team also told ABC News that McGahn has met the team at least three times and has been questioned more extensively than any other member of White House staff.